Train vining herbs up onto a trellis, arbor, or pergola to maximize your use of space. Passionflower, hops, raspberry, jiaogulan, and climbing roses are a few possibilities. Hops can grow to gigantic proportions, so you’ll probably need to tame it by cutting it back, or give it a large fence or wall of a building. Many of these vining herbs also spread by runners and can quickly take over a garden. Planting in containers can help limit their spreading. Another option is weeding out the runners a few times a year. Certain herbs can be harvested multiple times throughout the year, in a “cut-and-come-again” style (similar to microgreens cultivation). Give these plants a “haircut” early enough in the season, and they grow right back. 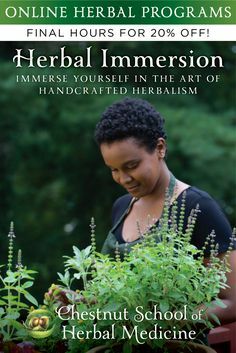 I harvest the following herbs in this fashion, two to three times during the growing season: gotu kola, holy basil, spilanthes, thyme, California poppy, passionflower, comfrey, basil, rosemary, chickweed, violet, lemongrass, sage, boneset, bee balm, meadowsweet, anise hyssop, and lemon balm. Growing these cut-and-come-again herbs can effectively double or triple your yield for every square foot of precious dirt. A time-tested solution for growing in a limited space is container gardening—basically, planting in a “box.” Larger ceramic pots, retired bathtubs (make sure they are lead-free), and wooden barrels can hold a surprising number of herbs, especially if trailing herbs are planted at the perimeter and taller plants at the rear. Shade-loving herbs that are suitable for growing in pots include aloe vera, black cohosh, gotu kola, and jiaogulan. Consider planting ornamental herbs and edibles in containers—chives, nasturtium, purple sage, tricolored sage, variegated thyme, spilanthes, calendula, lemongrass, and basil are especially snazzy botanicals. Plan for varying heights, and more plants can grow companionably. Please see my article Growing Medicinal Herbs in Containers for more tips. Most traditional methods of agriculture involve interplanted food crops with useful edible and medicinal weeds filling the gaps in between. The Three Sisters method of planting (the three sisters refer to corn, beans, and squash) is the most well known example of a polyculture—a fancy word for manygrowing, or growing a diverse array of many crops together. This is the opposite of monoculture. An example of an herbal polyculture that has worked well in my garden is passionflower, comfrey, gotu kola, and jiaogulan. The passionflower climbs up a trellis made out of a bamboo tripod, which creates a leafy teepee of shade and moisture. In my climate, gotu kola and jiaogulan prefer part sun and a little extra moisture, which the towering passionflower vine hospitably provides. Both gotu kola and jiaogulan spread along the ground, thus acting as a living mulch—holding in moisture and suppressing weeds. I place the comfrey plants around the perimeter of the tripod; their rapidly decaying leaves add organic matter and needed nutrients to the soil and surrounding herbs. The broad leaves of comfrey can be periodically cut back, especially when they begin to outgrow their neighbors, and applied as a nutrient-rich mulch for the whole neighborhood. Both passionflower and comfrey attract bees and other pollinators into the garden, helping to increase fruit set of nearby vegetables. This is just one example of an herbal polyculture; with a little observation and imagination, you’ll soon be designing your own mini botanical communities. Anise hyssop has become more fashionable as a garden herb in the last decade because of a greater interest in pollinator gardens, along with the fact that it is a relatively unfussy herb with a high curb appeal. Despite its acclaim among herb growers and native plant enthusiasts, it’s not an herb of commerce—you’ll have to search a bit to find the dried herb for sale. Yet another reason to grow your own! With a congenial flavor and an affable aroma, licorice mint is becoming more sought after as a culinary herb. Try adding a few finely chopped leaves to salad, herbed goat cheese, and fruit salad for an anise-like flair. The leaves and flowers of licorice mint are a gentle remedy for coughs, colds, indigestion, insomnia, and mild depression and anxiety. Stratifying the seeds for thirty days will increase germination rates. (Learn about stratifying seeds here.) Sow the seeds directly on the surface of the soil, and lightly tamp in. Pinch back the growing tips every week in the spring to flesh out the plant and encourage more flowering stalks. (Ocimum basilicum, Lamiaceae) This familiar herb is best known for its culinary uses, but it is also a versatile medicinal. Basil possesses some of the same healing qualities as its cousin, holy basil (Ocimum tenuiflorum). Both herbs are used to lift the spirits and alleviate anxiety. Garden basil is enlivening, helping to allay fatigue and mental fog. It is a gentle circulatory stimulant, and a traditional remedy for improving memory and concentration. Basil is an excellent aid to digestion and is helpful in reducing gas and nausea. Warm tea, prepared from ginger (Zingiber officinale), catnip (Nepeta cataria) and basil, with a touch of added lemon juice, makes an excellent remedy for steadying queasiness due to motion sickness, illness, or side effects of chemotherapy. Lime basil (Ocimum x citriodorum) is a citrusy variety of garden basil, and is my favorite basil to grow and cook with. Genovese basil is one of the most common types of basil grown, especially for pesto. Plant the seeds of all the basil varieties in trays or directly in the ground after the danger of frost has past. Pinch back the growing tips to encourage bushiness and favor leaf production over floral growth. Protect from slugs. Basil grows well in containers and can be harvested multiple times throughout the growing season. (Monarda spp., Lamiaceae) The bergamots—also known as bee balm—are some of the showiest medicinals for the garden, with their tousled tops of crimson and lavender. The flowers are edible, adding a vivid zest to any meal. The aromatic leaves are an important spice and medicine for Native American tribes across the continent. The tender shoots are delectable prepared as a pesto. If that’s not enticing enough, bergamot is a veritable pollinator magnet, luring butterflies, bees, and hummingbirds to the garden. I use the dried leaves and flowers in a steam inhalation to help break up phlegm in respiratory congestion. Bergamot’s essential oils—released through the steam of a bath, sauna, or steam inhalation—are antimicrobial and anti-inflammatory. I commonly include bergamot leaves and flowers in my herbal soaks and compresses to treat bacterial and fungal infections. 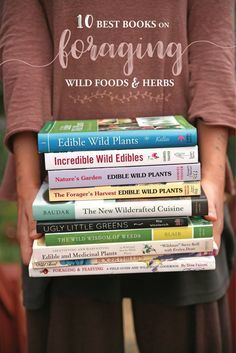 I try not to play favorites—even with plants—but I must confess that this group of herbs is among my most cherished of botanical sweethearts. At my old house, I planted a swath of wild bergamot along my front walkway so I could sit on my porch and admire the colorful procession of pollinators darting through the tousled lavender blooms. At my new home, I can gaze at the bee balm from my office window—the butterflies and hummingbird moths flitting through the shock of red blooms are a welcome distraction from my work! There are over twenty species in the Monarda genus, all of which are native to North America. It is important to use scientific names with this group, as common names are many and often used interchangeably. 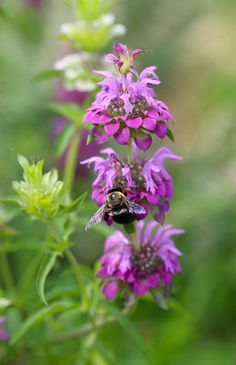 The species might be called wild bergamot, bee balm, Oswego tea, or horsemint, depending on where you live and whom you are talking with. All the species have similar culinary and medicinal uses but they differ in their cultivation requirements. Wild bergamot (Monarda fistulosa) and bee balm (Monarda didyma) spread vigorously by runners, similar to how mint spreads. Plant them where they can go hog wild, or contain their exuberance with a rhizome barrier, as you would for mint or bamboo. The plants are only suitable for small gardens if you can effectively contain them. Bergamot can be harvested repeatedly throughout the season. Bee balm prefers rich moist soil, and if you live in a hot climate, try planting it in dappled shade or in an area that receives morning sun and afternoon shade. It will still flower in part shade. Wild bergamot (M. fistulosa) thrives in hotter and drier conditions as compared to bee balm (M. didyma). (Calendula officinalis, Asteraceae) Calendula is one of the easiest herbs to grow and a highly versatile medicinal plant—naturally, it finds its way into the hearts and gardens of all herb lovers. It has been used for centuries, both internally and topically, to heal wounds, burns, and rashes. The sunshiny flowers are a traditional remedy for supporting the immune system and lifting the spirits. The “petals” (technically, they are the ray florets of the flower heads) are edible and bursting with antioxidant compounds. The yellow and orange confetti of calendula petals adds merriment and festivity to any dish. Try them in salads, salsas, scrambled eggs, quiche, and frittatas. Calendula is a premiere herbal companion plant, as it attracts beneficial insects, such as hoverflies, predatory wasps, and robber flies. It is commonly grown as an annual in colder climates, but calendula is a short-lived perennial in warmer climates. Growing calendula from seed is easy-peasy, even for the brownest of thumbs. Sow the bizarre-looking seeds directly in the ground in mid-spring; germination takes five to fourteen days. Calendula can be grown in containers and looks especially smashing with ornamental sages. The flowers need to be picked every two to three days to promote and prolong the plant’s flowering season. The whole flowers can be dried and then added to soups and stews in the winter as a tonic for the immune system. To learn more about calendula, visit my article here. (Cymbopogon citratus and C. flexuosus, Poaceae) This aromatic tropical grass is grown as an annual in temperate climates. Lemongrass is often grown as a container plant and protected during the colder months. Growing it in a pot helps to keep its size manageable, and it’s quite commanding when planted with other ornamental herbs, such as artichoke and purple sage. Grown in the garden, lemongrass can reach monstrous proportions: its cascading leaves grow three to five feet tall, and the plant can reach three feet in girth. The plants can be repeatedly harvested throughout the growing season to increase yields and keep them in check. East Indian lemongrass (C. flexuosus) can be grown from seed with the following caveat: the seeds must be pressed onto the surface of the soil, rather than buried, and kept moist until germination. Low germination rates are common. West Indian lemongrass (C. citratus) is typically grown from division, as is C. flexuosus. Both species are used medicinally and impart a pungent lemon aroma and flavor to tea. The inner stem base is used in many Thai dishes and soups. Throughout the world, lemongrass is a popular beverage tea and everyday home remedy for some of the most common health complaints: headaches, stress, indigestion, insomnia, coughs, colds and flu. In Brazil, the tea is a popular remedy for anxiety and insomnia. Lemongrass is combined with ginger in Jamaica to treat headaches, intestinal gas, and stress. In Ayurvedic medicine, lemongrass is used to aid digestion, relieve menstrual cramps and expectorate phlegm. Much of the research conducted on lemongrass has centered on the essential oil, which has demonstrated marked anti-bacterial and anti-fungal properties. (Passiflora incarnata, Passifloraceae) If ever there was a plant that possessed sufficient charisma to woo the botanically coldhearted, passionflower, with its drop-dead gorgeous flowers and exotic fruits that resemble green dragon eggs, is it. Passionflower is a clambering herbaceous vine—native to the fields and waysides of southeastern North America—that has both medicinal and edible uses. It’s weedy in much of its native range and fairly easy to grow elsewhere, especially if given a wall or trellis to climb. The leaves and flowers are an important nervine sedative and are used to help promote sleep and alleviate pain, such as menstrual cramps and headaches. The inflated fruit cradles a delectable sour pulp. Passionflower is a short-lived, perennial herbaceous vine—it dies back to its roots in climates that freeze. Plant three feet apart and trellis; it will grow up a five-foot fence or trellis by the end of summer. It makes a lovely medicinal botanical screen. Passionflower will spread throughout the garden if it’s happy; however, it’s easy enough to pull up any runners that are emerging in an inopportune location. Alternately, you can train those rascally runners up a fence or use them for medicine. Passionflower loves full sun and will bloom more profusely in the glow of sunshine, especially if you live further north. If you live in a hot climate, consider planting passionflower where it will get shade by mid-afternoon. Plant in well-drained to average garden soil. Passionflower is hardy to zone 6 and is frost-tender. It’s a bit tricky to grow passionflower from seed. Scarify the seeds by rubbing them between sandpaper and then place them in damp sand in the refrigerator for one to two months. (Learn more about scarifying seeds here.) Be patient; sometimes it may take months for the seeds to sprout, and germination may not happen all at once. Bottom heat from a heat mat, a warm greenhouse, or planting in late spring will all enhance germination. For more on the ecology and medicine of passionflower, please see my article. Take care to only use the Passiflora incarnata species—or other known medicinal species—as other species of passionflower aren’t necessarily medicinal or even safe to ingest. (Acmella oleracea, Asteraceae) Spilanthes is one of the easiest medicinal herbs to grow, and kids absolutely love its zippy-zappiness. Even the tiniest nibble from one of the flowers will set your mouth to drool. The tingly numbing sensation, following the initial mouth explosion, affords relief from toothaches—hence its common name, toothache plant—and thus it is a common ingredient in many tooth and gum formulas. Spilanthes improves oral health through its antimicrobial and gum-stimulating qualities and offers relief from pain by acting as an oral anodyne. One of the primary ways I use spilanthes is as an immune stimulant to augment the body’s internal defenses against the common cold and flu. Spilanthes yields a substantial amount of medicine in one season: one to two plants will yield over a quart of tincture. All the aboveground parts are medicinal and can be chewed fresh in moderation or made into a tincture. The flowers reign supreme in tingle land, but the leaves and stem are a close second, medicinally. Direct sow after the danger of frost has passed, or sow early in trays at the same time you plant tomatoes for an earlier harvest. Plant the tiny seeds shallowly and don’t allow the soil to dry out. Spilanthes is grown as a frost-tender annual unless you live in the tropics. It loves to grow in containers. Slugs relish spilanthes with zeal. Spilanthes cascades beautifully out of hanging baskets, which can be an effective means for elevating the plants far from the reach of even the most adventurous gastropods. For a list of my favorite herb growing resources and a plant glossary of scientific names, please see the end of my article 9 Tips for Planning the Herb Garden of Your Dreams . 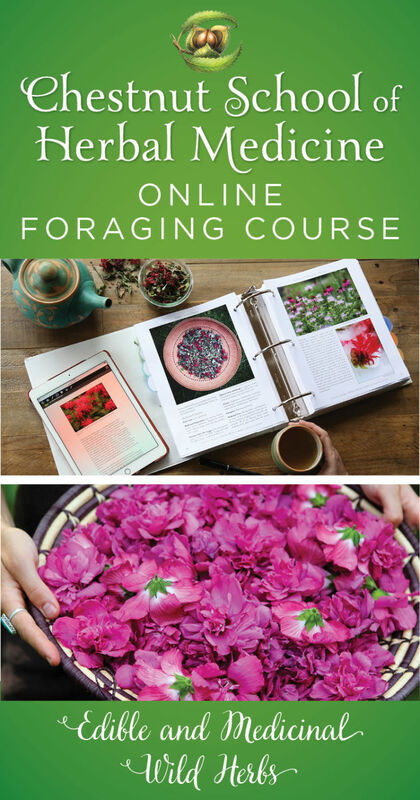 This article is an excerpt from our 1,000-hour Herbal Immersion Program, which is the most comprehensive handcrafted online herbal course available, covering botany, foraging, herb cultivation, medicine making and therapeutics. 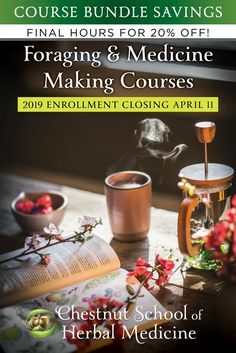 This entry was posted in Herbal Medicine, Medicinal Herb Cultivation and tagged Acmella oleracea, Agastache foeniculum, Anise Hyssop, basil, bee balm, calendula, Calendula officinalis, container herb gardening, Cymbopogon citratus, growing medicinal herbs, growing wild bergamot, herb garden, herb gardening, how to grow medicinal herbs, Lemongrass, Ocimum basilicum, Passiflora incarnata, passionflower, spilanthes, wild bergamot. Bookmark the permalink. I have 25kg bag of cooking whole fennel seeds; making teas and adding to cooking. How else I can use them? Those are both great ways to use fennel. I like to add it to a lot of my chai tea recipes. You could also set some aside to make a tincture to aid digestion. This topic is outside of our scope of experience. Best of luck to you! My question is on Calendula. I have seeds that have the common name, not Calendula officinalis. Are all calendula good for medicinal purposes (or even edible)? Should I seek out seeds that have Calendula officinalis clearly stated? What a great article, as usual! The only way that I can grow herbs is in containers, as I have no land of my own….just a balcony in an apartment. So, this article was very encouraging. 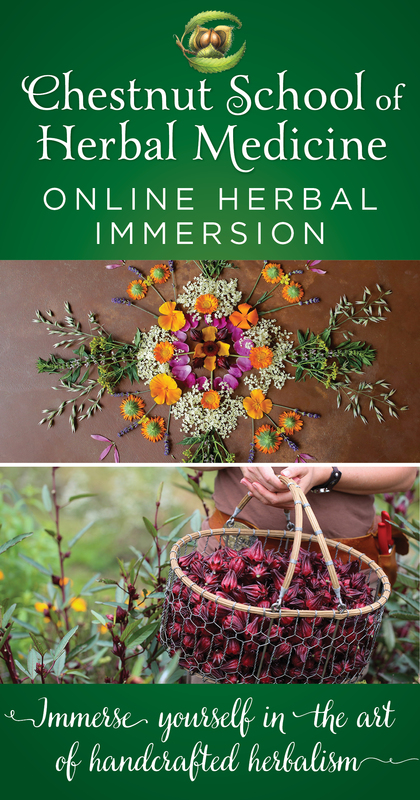 I would LOVE to take your Immersion course! 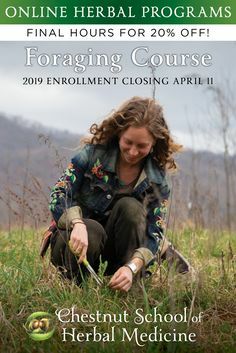 Would the course still prove beneficial for those without their own land to plant in? I could perhaps use the knowledge I learn to plant gardens for others on their land. where can i purchase seeds for my gainesville, florida garden? We have a list of herbal nurseries/seed resources on our Links page. I’m always excited to read your blogs..full of interesting and thought provoking information. This one in particular was full of useful, relevant and beautifully presented material. 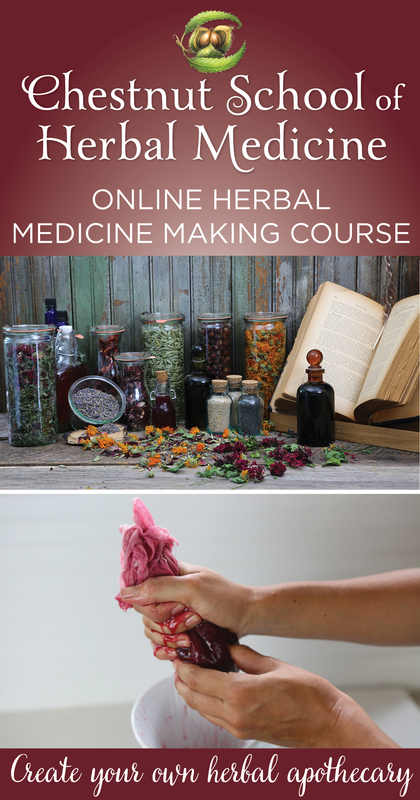 Thank you for sharing your love and knowledge of these incredible herbs! So kind of you to say, Gary! Thank you, I’m glad you found it useful. You are absolutely amazing and thought provoking. I love this article and its giving me ants in my pants to get out doors and over haul my garden (much needed). I would love to grow these plants in Maryland; is that possible? Where can I buy the live plants as i have never done well with seeds. Thank you so much! Yes, you can grow these plants in Maryland. 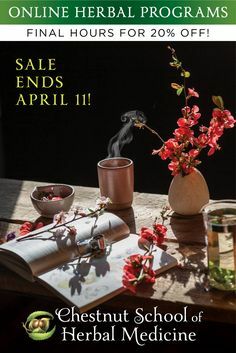 It can be challenging to find medicinal herbs in local plant nurseries, so this is a great mail order nursery for medicinal plants – Crimson Sage Nursery. Shipping can be expensive, however. Strictly Medicinals is a great source for seeds if you want to try that out again. 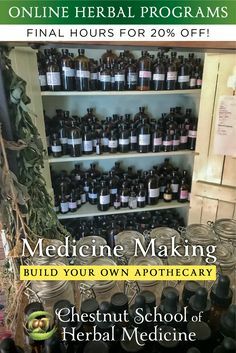 Here is my article, Guideline to Growing Medicinal Herbs from Seed, for more information and inspiration. Please feel free to share this article! Just amazing. Whenever I see your posts and photos, I am infused . Thank you for such beautiful posts . 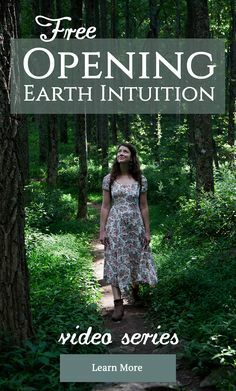 I am a gardener and herbalist & appreciate earth medicine presented so well.